Seafood always seems to taste better when eaten within a skimmer’s throw of the briney from which it was yanked; there’s no finer seasoning for fish than the tang of salt in the air. So you might it slightly odd to open a seafood restaurant just off the A696, a mile or three north of Ponteland. And yet this is where the third Catch restaurant has pitched up - the other two are in West Yorkshire, also nowhere near the sea. The happy news is that, regardless of its longitude and latitude, it’s doing a lot of things right. As we were met at the door by one of those lightbulb-filled name signs that seem to have become a bit of a thing, it was clear that the old Waggon Inn site has been given a pretty thorough sprucing up. In my time I’ve had some pretty grim meals at the Waggon. 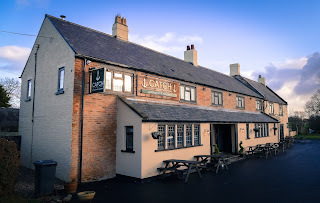 It always seemed such a good place to stop off on the way North, set in the middle of nowhere with precious few eating options between Ponteland and Otterburn, and I was seduced every time a new sign was placed beside the road proclaiming it was now “Under New Management”. But it always managed to disappoint, so much so that I never bothered to waste your time by reviewing it, much as you may enjoy my occasional (!) rants about really poor cooking. There’s only so much scorn you can pour on a bought-in chicken Kiev. Thankfully the Waggon has had all its tired old wheels replaced by a new set of alloys. The interior’s been transformed: an A bar, constructed from old railway sleepers, takes up one stone-floored room, leading through to the main restaurant which is nicely done out in white tiles and verdant shades of green. As we took our seats for lunch the partly open kitchen’s extraction system seemed not entirely to have been able to deal with the cooking off of a service worth’s of chips, meaning the restaurant had a fug of appetite-sharpening rendered beef dripping about it. This, from me, is not a complaint. 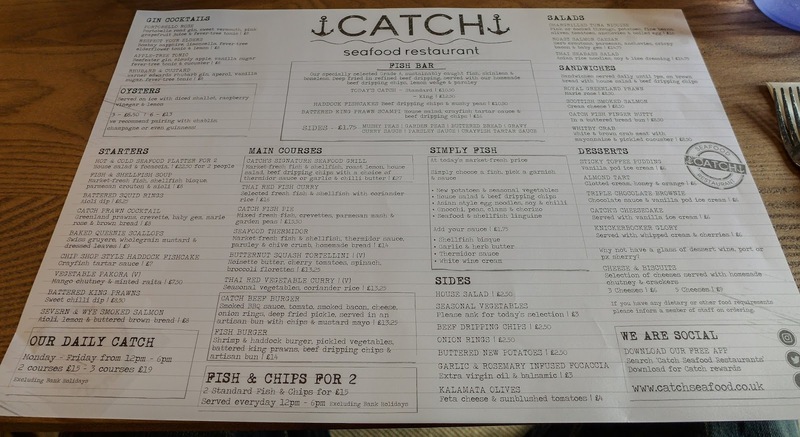 The menu is an unchallenging but appealing mix of chip shop faves and classic seafood dishes - prawn cocktail, pies, thermidors etc - with the odd curry, burger and veggie option so as not to alienate anyone. 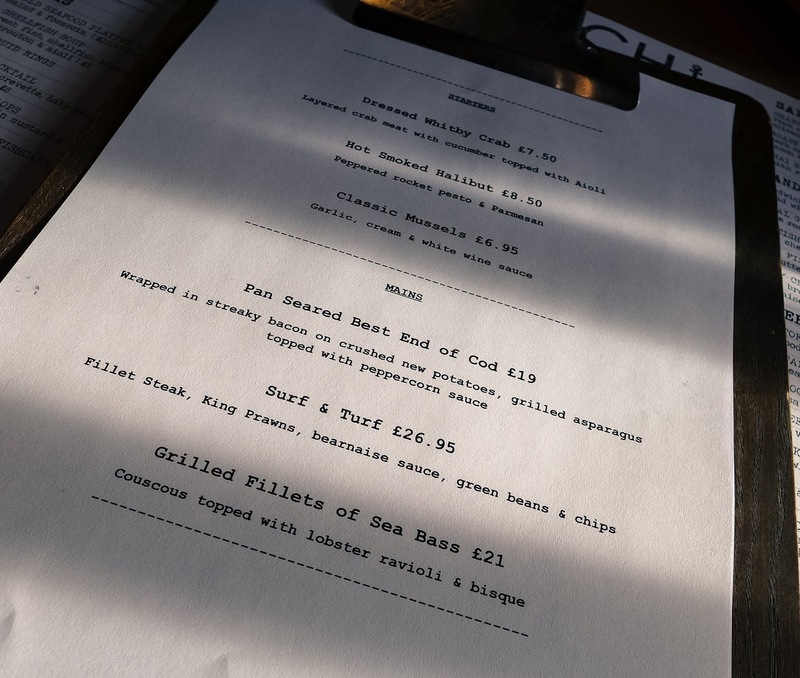 Alternatively, you can pick from a range of whatever fish they have and they’ll simply grill it, with your choice of garnish: a civilised approach. Straight off the bat, I'll get the only two real criticisms of our meal out of the way. Mrs Diner’s baked queenie scallops had been gently cooked to tender and were napped by a nice, simple roux-based sauce, but were noticeably gritty which suggests that, having been trawl caught, they were not thoroughly washed. My fish soup was nice enough, but a bit underseasoned and underpowered. A great deal more heads, shells, or both would have given the bisque more oomph. 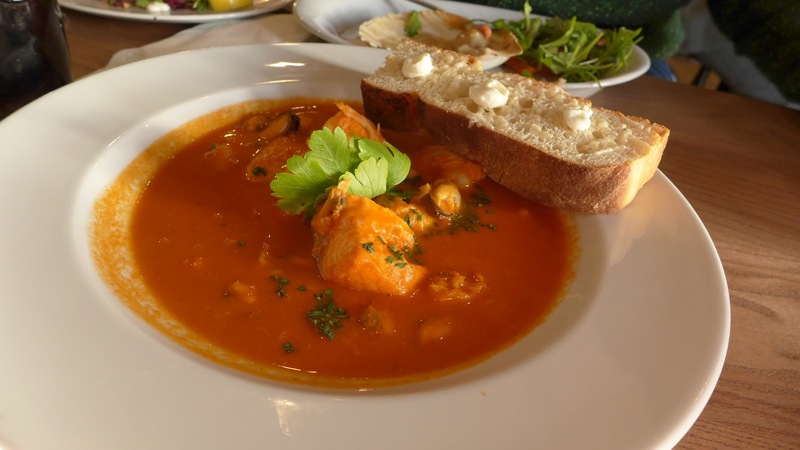 It did at least have bobbing in it a generous quantity of king prawns, mussels, squid and white fish. The crab, on the other hand, was dressed to impress. 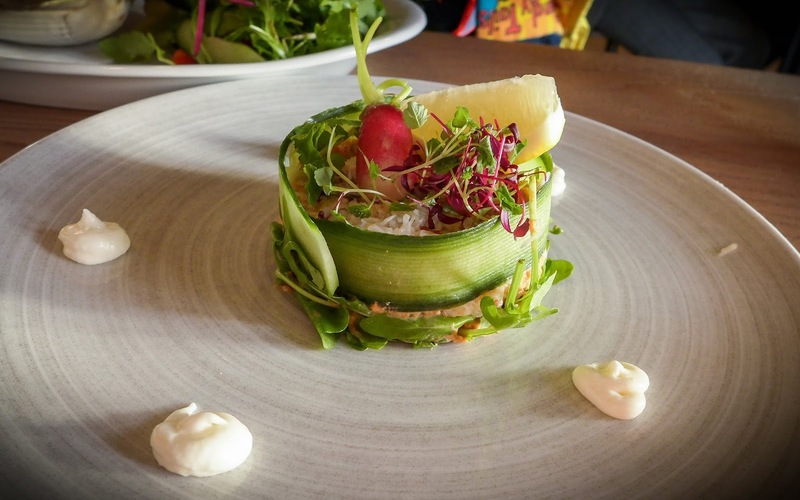 All the way from Whitby, a cylinder of really first-rate brown and white meat was encased in a long, thin courgette jacket, with a microherb crown and dods of punchy aioli around the perimeter. We ripped this dainty construction apart and devoured it in seconds. God, I love good crab. Both of our main courses were very good, in very different ways. 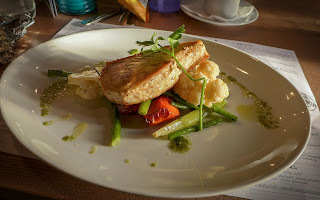 I went down the rather ascetic route of requesting a piece of grilled halibut, adorned only with seasonal veg and new potatoes, with a white wine sauce on the side. Mrs Diner elected to test their frying skills with an order of king prawn scampi and chips. The halibut was seriously good, the faintly crusted exterior of its inch-thick girth giving way to dewily moist flakes. I know that sounds a little bit pornographic, but then so did some of the noises I was making between forkfuls, so deal with it. Almost as good though were the accompanying vegetables. Carrots, roasted into tender sweetness alongside unusually flavoursome spuds and butter-ravished fennel and broccoli. The white wine sauce wasn’t especially great, so remained in its jug, unneeded by a plate of simple but effective and delicious cooking. Scampi are usually made with langoustine tails, but the king prawns used here were moist, sweet and tender, and so a more than adequate replacement. Batter was on point, all crisp golden nooks and crannies. The chips, having been cooked in beef dripping, tasted great, although could have been cooked a little further for my taste. 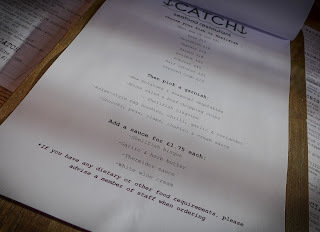 A whole bowl of mushy peas were fine, although a crayfish tartare sauce, replete with nuggets of the river dwelling crustacean, badly needed a load more capers to provide some tang to cut through all that frying. The one pudding we shared was a belter. 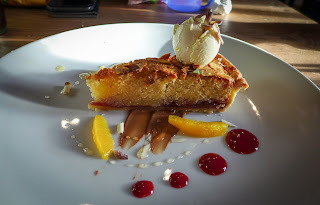 A warm almond tart of joy, with texture somewhere between that of a sponge and frangipane, pimped with clotted cream, honey and orange segments. Seeing this off I noticed that almost every other table in the room had ordered fish and chips, and herein lies the - ahem - catch, for the good people on the other side of the pass. This kitchen clearly possesses ability, and some finesse. It would be rather a shame if they were to spend the vast majority of their time merely plunging things into great vats of bubbling rendered tallow. So by all means get the fish and chips if you must, but do at least consider the rest of the menu. You may be well rewarded. 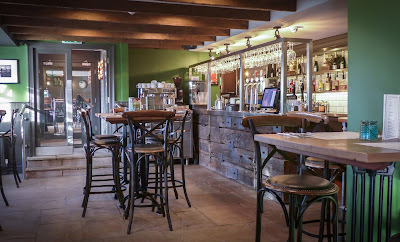 Service, from both of the two front of house staff was tip-top, friendly and efficient but never contrived. Open since June 2017, the whole operation seemed to be running like clockwork. 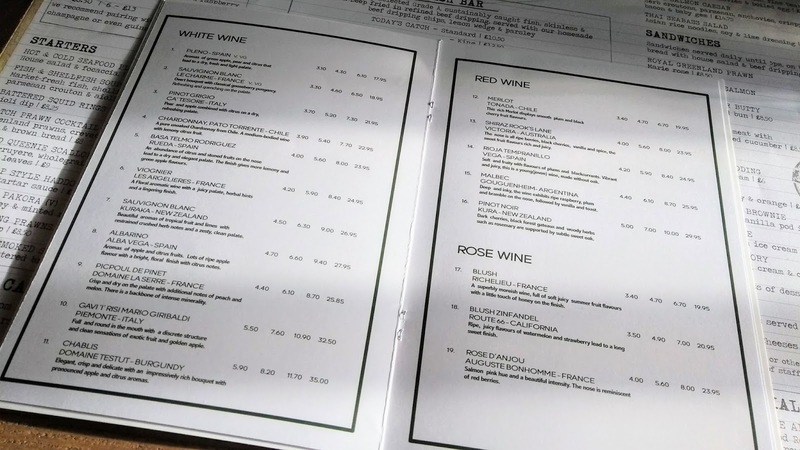 A quick word for the wine list: every single one of the 11 whites, 5 reds and 3 rosés was available in three sizes of glass. Hurrah! For balance, I should point out that vintages were not listed. Boo! An unusually peachy Picpoul de Pinet from Montagnac was a good companion for the afternoon. 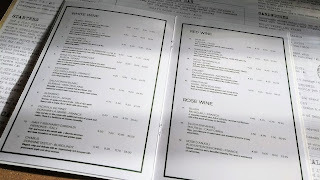 We paid £87 all in, although that included adequate booze, an extra starter and the most expensive main on the menu. 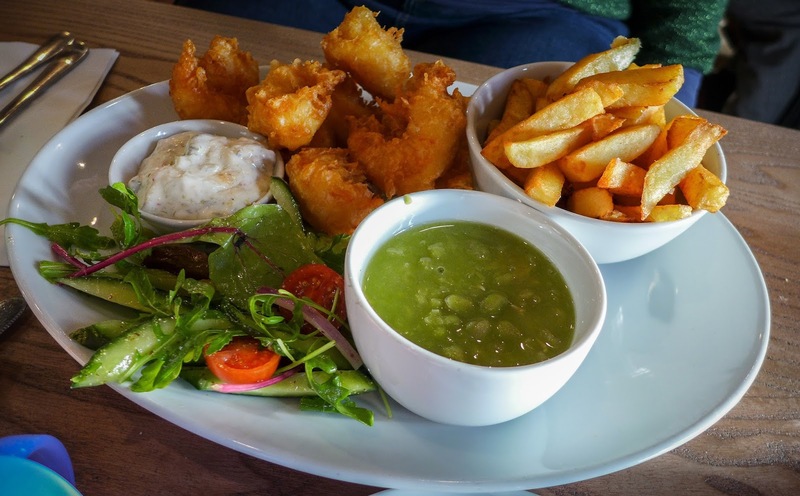 It may more useful to note that fish and chips are £10.50, most starters about £8 and mains average around £14. 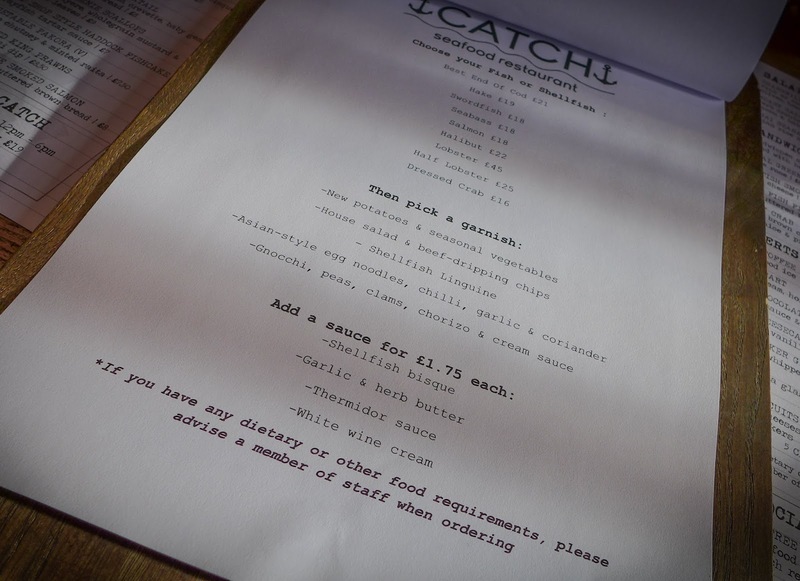 Bargain hunters can enjoy their "Daily Catch" - three courses for £19, Monday to Friday, 12-6pm. Apparently there are plans afoot for more of these, from Boothwood Ltd, the company behind the chain. Fine by me. Maybe one day they’ll open one next to the sea. Maybe not. If they manage to maintain or improve on this level of quality while expanding out, I’ll be happy to drop by, wherever they pitch up. Myself and my wife are there on Friday night. I had the oysters.mine were not gritty at all.in fact very succulent.not sure what day the secret diners were there but Friday everyone had different meals and not just fish. 100% excellent for the foid.staff and management. Myself and my husband visited on Sunday, we wanted something different to a sunday lunch. 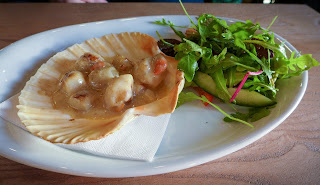 We infact had the scallops and fish soup followed with halibut and king prawn scampi. All were fab. The staff explained that chips etc were fried in beef dripping but offered an alternative of vegetable oil. I am infact a pescatarian and was grateful of the choice. We agreed that our food was fab and we would be back. Staff were great too!